This white paper, courtesy of Bureau Van Dijk, is ideal for those who are new to the topic, or looking for a refresher course. 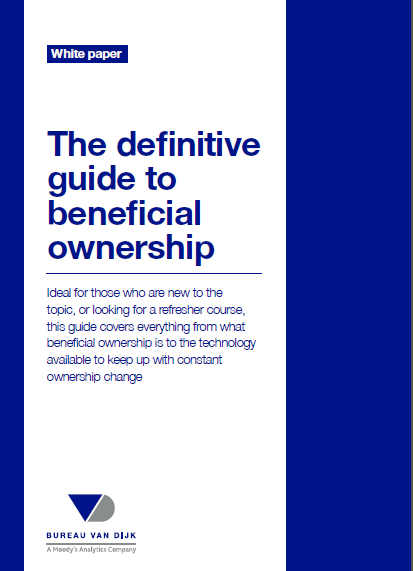 The guide covers everything from what beneficial ownership is to the technology available to keep up with constant ownership change. Bureau Van Dijk capture and treat private company information for better decision making and increased efficiency.